Pathology Associates, P.C. is a CLIA certified and CAP accredited state-of-the-art laboratory specializing in the accurate and rapid diagnosis of anatomic and cytopathology specimens. The large, board certified medical staff includes specialized fellowship trained physicians in GI / liver pathology, soft tissue / sarcoma pathology, breast pathology, surgical pathology, and oncologic surgical pathology. 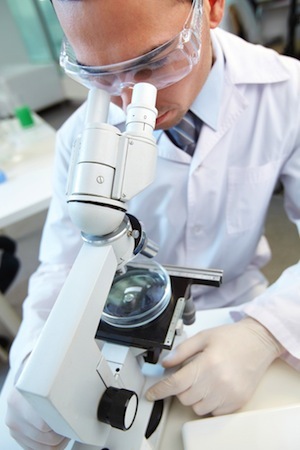 In addition, the staff includes board certified pathologists in cytopathology, hematopathology, and dermatopathology. With daily courier services, a large in house inventory of histochemical and immunoperoxidase stains, and on site immunofluorescence and flow cytometry, next day turn around time even on complex cases is achieved. Frozen section coverage, FNA biopsy service, and 24 hours / day consultation services are also available. Pathology Associates, providing North Alabama with quality anatomic pathology service for over 40 years! Copyright © Pathology Associates, All Rights Reserved.